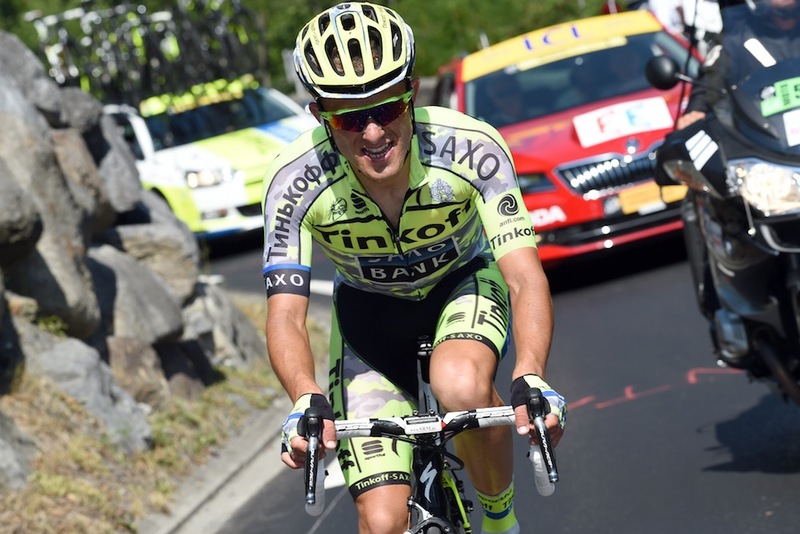 Rafal Majka gave Tinkoff-Saxo their first victory of the 2015 Tour de France by taking a solo win on Wednesday’s mountains stage 11 to Cauterets in the Pyrenees. King of the Mountains 2014 winner Majka attacked from an escape group on the Col d’Aspin to win one minute ahead of Irishman Daniel Martin (Cannondale-Garmin) in second and young German national champion Emmanuel Buchmann (Bora-Argon 18) in third. It’s Polish rider Majka’s third Tour stage win, after winning to stage in last year’s race on the way to the KoM title. Chris Froome (Team Sky) remains in the overall race lead on what turned out to be a relatively quiet day for the overall contenders, although defending champion Vincenzo Nibali (Astana) lost touch with Froome’s group on the final climb, losing another 50 seconds to the British rider. 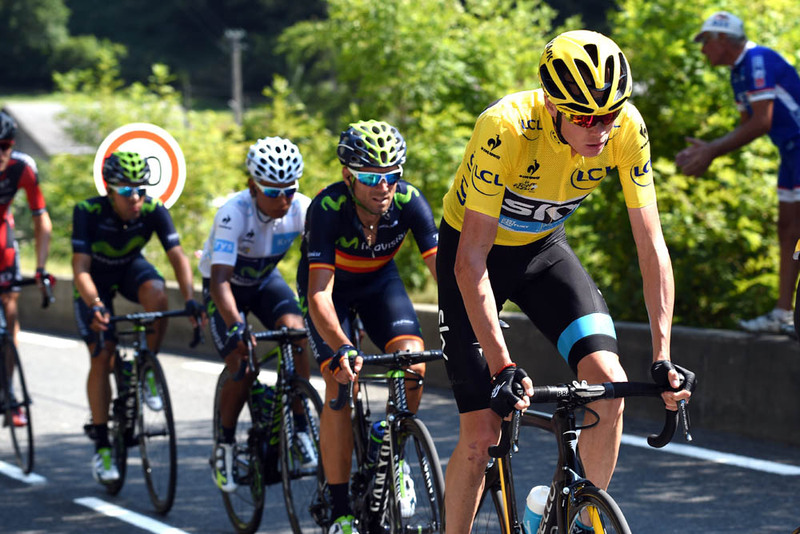 Froome leads Tejay van Garderen (BMC Racing) overall by 2-52, with Nairo Quintana (Movistar) in third at 3-09. Geraint Thomas (Team Sky) retained his fifth place overall, 4-03 behind team-mate Froome. The day started blisteringly fast, with a high calibre break consisting of world champion Michal Kwiatkowski (Etixx-QuickStep), Edvald Boasson Hagen (MTN-Qhubeka), Lieuwe Westra (Astana) and Bob Jungels (Trek) not given any leeway by the peloton. The quartet were soon caught, and a new escape formed featuring French duo Romain Bardet (Ag2r) and Thibaut Pinot (FDJ), but this too was caught. The peloton regrouped before the intermediate sprint point at Pouzac, with Matteo Trentin (Etixx-QuickStep) taking the maximum points just ahead of Peter Sagan (Tinkoff-Saxo). Sagan regained the green jersey from André Greipel (Lotto-Soudal) after the latter had been caught in an earlier split in the peloton and been forced to chase back on, finishing seventh in the sprint. As the race tackled the categorised climbs of Côte de Bagnères-de-Bigorre and Côte de Mauvezin, a new break formed including Thomas Voeckler (Europcar), Majka, Serge Pauwels (MTN-Qhubeka), Steve Morabito (FDJ), Buchmann, Julien Simon (Cofidis) and Arnaud Demare (FDJ). After his Cannondale-Garmin team had done much of the early break-chasing work, their plan was revealed as Daniel Martin attacked from the peloton and set about catching the escape group on the ascent of the first category Col d’Aspin. Catch them he did, having enough energy to crest the Col d’Aspin first, with a 7-30 lead over the bunch. 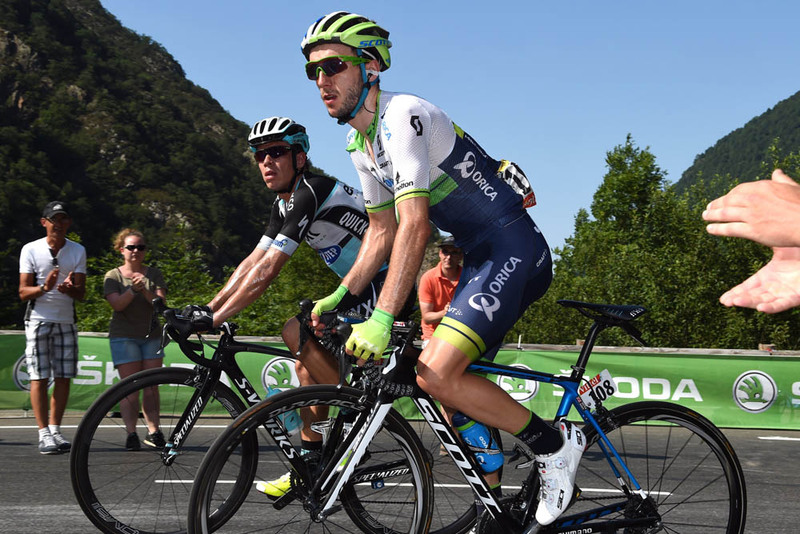 Unsurprisingly, sprinter Demare struggled on the gradients and was dropped from the break on the Col du Tourmalet. Astana hit the front of the bunch and raised the pace, causing both the break’s advantage and the size of the peloton to be severely reduced. Last year’s King of the Mountains, Majka attacked from the escape group, electing to ride to the summit of the Tourmalet alone, taking the handy €5000 Souvenir Jacques Goddet prize for his efforts. Behind, the contenders’ group was whittled down to around 20 riders, with Froome, Nibali, Contador and Quintana all present. Majka hit the foot of the final climb of Côte de Cauterets over a minute ahead of lone chaser Pauwels, two ahead of the second group containing Martin, and six minutes in front of the Froome group. Martin decided to have a go at catching Majka, accelerating up the climb and passing Pauwels. 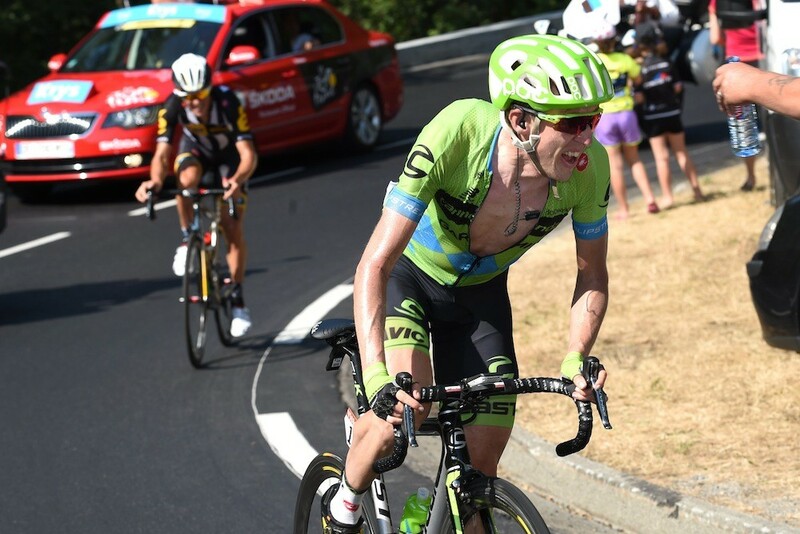 Martin left it too late, however, as Majka crossed the line unchallenged. As the Froome group hit the steeper part of the final climb, Bauke Mollema (Trek Factory Racing) attacked, causing an increase in speed. It was too much for Nibali, who after the earlier efforts of Astana once again faded, losing more time. Aside from Nibali, the contenders group reached the finish together, perhaps mindful of the following day’s stage. Mollema moved up to 10th overall, as Nibali slipped to 11th, now 7-47 behind Froome. Martin received the day’s combativity prize for his relentless chasing efforts, and moved up to 16th place overall. French team Ag2r’s woes continued through the day, as team leader Romain Bardet struggled with heat stroke during the stage – reportedly vomiting as he rode along – and Johan Vansummeren and Ben Gastauer both withdrew. Rui Costa (Lampre-Merida), Daniele Bennati (Tinkoff-Saxo), Dominik Nerz (Bora-Argon 18) and Rein Taaramäe (Astana) were the day’s other withdrawals leaving 176 riders in the race. If Wednesday’s stage was tough, Thursday’s stage 12 promises more: with four categorised climbs in the Pyrenees, including the finish up Plateau de Beille. Expect fireworks.